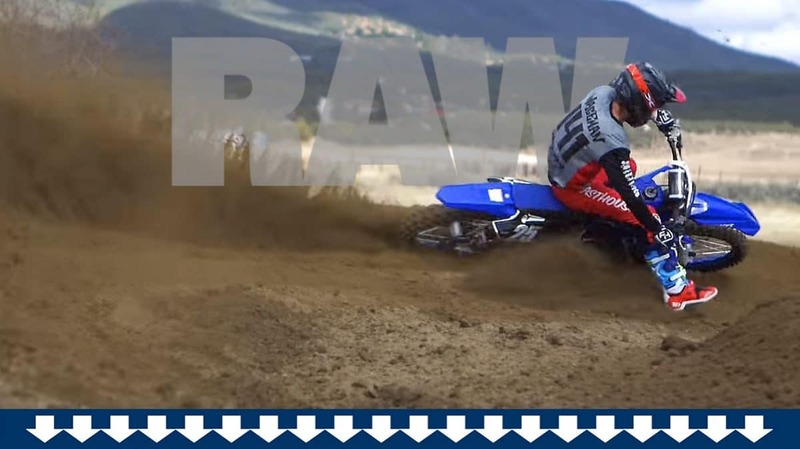 The eternal Yamaha YZ125 two-stroke is the focus of this episode of the Dirt Bike Raw Video Series.There’s no music, no voice-over and no talking head, just the sound of a 125cc two-stroke singing its song. The Yamaha YZ125 has been around for a very long time, and we still consider it the best handling motocross bike you can buy. The chassis has had a number of updates over the years, but the motor hasn’t changed significantly in 13 years, so it gives away peak power to bikes like the Husqvarna TC125 and the KTM 125SX. On a twisty track, though, the YZ’s suspension advantage can often give it an advantage. For more on the YZ click here. For a video on the TM 125 two-stroke, click here. For a video on the KTM 125 two-stroke, click here. For a video on the Husqvarna TC125 two-stroke, click here.